Improving Wikipedia: one reference at a time! #1Lib1Ref is an annual global initiative organised by Wikipedia, which encourages library staff to make simple changes to articles to improve the accuracy of information available online. #1Lib1Ref also makes it easier for Wikipedia users to find out about the resources in their local libraries. 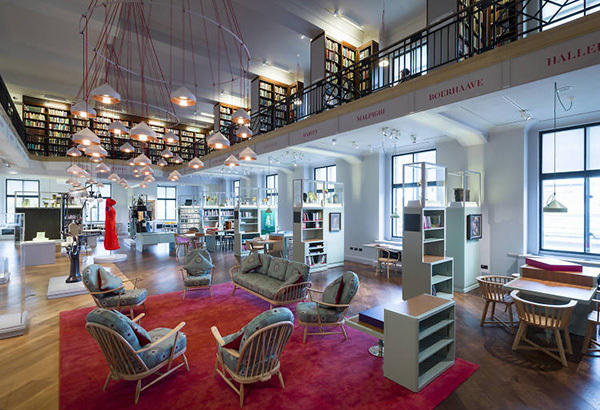 Wellcome Collection is taking part on Friday 3 February. We’re encouraging our in-house staff as well as those from local libraries and other institutions to pop into the Reading Room and find out how easy it can be to make a positive difference to Wikipedia articles. Wikipedia articles are based on the assumption of ‘verifiability‘: every statement in an article should be “verifiable” in a footnoted source. By adding a footnote to a reliable source in a Wikipedia article, you can help Wikipedia readers all over the world. So why not have a lunchbreak with a difference and learn some new skills by popping along to the Reading Room on 3 February. You’ll discover how easy it is to make simple changes to Wikipedia, adding references to articles to improve their usefulness to Wikipedia users. The basics really do only take a matter of minutes to pick up, so drop in any time between 12.00 and 14.00. Whilst you’re here at Wellcome Collection you can also visit our ‘Making Nature: How We See Animals‘ exhibition, which may inspire you to update an animal-related entry! We hope you can come along and we look forward to helping you make a difference. If you’ve got any questions just drop us a line!